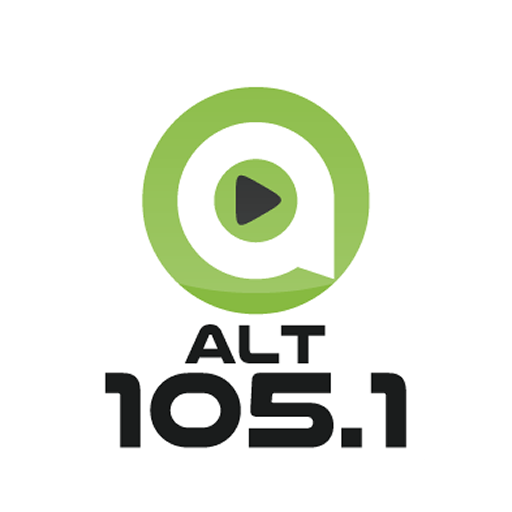 We’re Brooke & Jubal and happy to be on the NEW ALT 105.1! Is their connection TOO strong?? She admits to essentially breaking and entering on her date with Nick! Would you jump at a chance to reconnect with “the one that got away”? The guy in today’s Second Date has a standard date he always goes on to “test” the woman he’s out with. April Fool’s Day is coming up so look alive! Corey is a single guy looking for a relationship, but he also works at a retirement home… what could go wrong? A self-described small town girl living the big city dream, Brooke Fox has worked in morning radio for the past 13 years. She hosted Top 40 radio’s first all-female morning drive show in Spokane(KZZU-FM), served as music director and morning co-host in Portland (KKRZ-FM), and started another all-female morning show in Seattle (KQMV-FM) – all before finding her radio match with Jubal Flagg. Brooke & Jubal launched in 2011 in Seattle and was expanded to Portland in 2015. The popular program, features conversation on the latest happenings in pop culture and entertainment, hilarious skits and listener interaction. Outside the radio studio, Brooke was a host on FOX TV’s Dish Nation, a nationally syndicated entertainment news program, for three seasons and has had an ongoing segment on KING 5’s New Day for over four years. She was voted by Evening Magazine as one of the “Top 25 Most Beautiful People in the Northwest,” and serves as a spokesperson for the American Heart Association and the Komen Foundation, the latter of which presented her with the Outstanding Media Partner Award in 2014. Brooke and her husband recently welcomed a baby girl to the world and are living in a constant state of sleep deprived, delirious, life altering joy. Jubal Flagg is a standup comedian, radio host, television personality and comedy writer. Known for his quick wit, and keen and often strange observations, Jubal has been entertaining audiences on-stage and on the radio for more than 10 years. Jubal got his start in radio doing overnights at an AM music station in Stockton,California. He then moved to Los Angeles, where he got a job as a producer on the morning show for the then-fledgling FOX Sports Radio Network and The Tony Bruno Morning Extravaganza. After a three-year run, he moved to Seattle where he served as the third mic/producer on KBKS in Seattle. After six years, he joined Hubbard Radio Seattle’s MOViN92.5 KQMV in 2011 to launch Brooke & Jubal, which expanded to Portland’s LIVE 95.5/KBFF-FM in 2015. Now he’s happy to land in Louisville on the new G105.1! Along with making people laugh on a daily basis, Jubal can also be seen throughout the country as a regular on FOX TV’s Dish Nation, a nationally syndicated entertainment news program. In addition, he writes and produces comedy bits and daily topical jokes that are used by radio stations nationwide. In other words; he loves the craft of comedy so much that he even writes jokes for his “competition.” Jubal is also passionate about giving back to his community by supporting various charitable organizations, including the Youth Suicide Prevention Program and Susan G. Komen. The son of two ministers, Jubal attributes his quirky sense-of-humor to, well, growing up with the name Jubal. A Tacoma native, Jose grew up in the restaurant industry but decided to try stand-up comedy at the age of 23. After a chance encounter with Jubal Flagg, the two hit it off, and Jose began opening comedy shows for him. It wasn’t long before a position with the top-rated Brooke & Jubal show became available and Jubal invited Jose to audition. As a key member of the team, Jose entertains the audience with his arsenal of impressions and hilarious characters. Known for his crazy stunts and high energy, listeners also count on Jose for his trademark laugh.